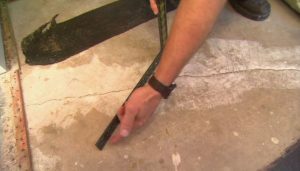 Have you noticed cracks in your home’s foundation? 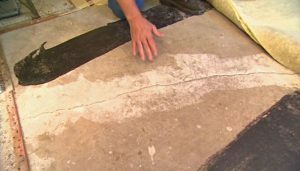 What about cracks in the drywall and interior of your home? Are doors in your house misaligned or sticking? These issues MAY indicate a problem with your home’s foundation… but not necessarily. Before you panic and lose sleep over potential problems with your home, you should get an expert opinion. If foundation repairs really necessary (the good news is many times they’re not). Whether the foundation issues are compromising your home’s (and your family’s) safety. Pretty much all the foundation repair companies in Texas you may encounter will talk about their experience, satisfied customers, strong guarantees, etc. It’s hard for you, as a consumer, to see how any of the companies that offer this service are different just from words on a website or in a video. Before you trust someone to potentially repair your most valuable asset, you need to meet them in person. Have at least 3 experts come out to your home to evaluate the situation. You may get very different recommendations and prices, if repairs are necessary. All we ask is that you call us and give us a chance to earn your trust and, if repairs are necessary, your business. We are a small enough company that every job is done by our own experienced workers, not sub-contractors, so you can rest assured that the job is done right. No Money Down Financing Now Available! Foundation King has a long standing record of the best quality service offered in the state of Texas. Offering everything from home leveling and slab to pier & beam. Here at Foundation King we believes in 100% customer satisfaction that means doing the job correctly from the start, offering zero money down financing and free estimates to homeowners we want our customers to feel confident that we will solve there problems. San Antonio, Austin, Killeen, Kerrville, Houston, Corpus Christi. If your needs are here in Texas don’t hesitate to call Foundation King. There is no job to big or small, we take pride in our craftsmanship and attention to detail when it comes to foundation repair. Give one of our customer service experts a call now and let us take care of all your foundation problems. Since the concrete foundation literally holds up your entire house, finding and resolving house foundation issues is one house repair that should not be putting off. House foundation problems can be noticed by the homeowner, but more likely they are discovered by a contractor or home inspector. Until you have a foundation specialist inspect your house, you won’t really know what the scope of your problem might be. There’s no reason to put off undertaking a foundation repair. The problem can only get worse as the house shifts and as a homeowner, you will not be able to conceal a foundation issue if you sell the house later. Just because your home shows some of the signs of foundation problems, doesn’t mean you home has serious structural problems that could put your and your family’s safety at risk. The only way to know for sure, however, is to have an expert come out and evaluate the problem. If there is a foundation problem and repairs are needed, we’ll provide a free estimate on what it will take to fix things right and what the cost will be to do it. You can get additional estimate and inspection. Working with a Texas Public Adjuster? Foundation Kings will work with you to get the best price and service possible. 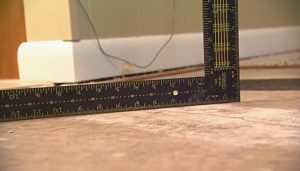 How Much Will Foundation Repair Cost? Ignoring minor foundation issues today may lead to bigger, most costly repairs down the road. So if you suspect your home has problems with the foundation, please call us today and schedule your free foundation evaluation today.